The most common sources of caffeine are coffee, tea leaves and coca beans. The caffeine content can range from as much as 160 milligrams in some energy drinks to as little as 4 milligrams in a 1-ounce serving of chocolate-flavored syrup. Caffeine is present in some over-the-counter pain relievers, cold medications, and diet pills. These products can contain as little as 16 milligrams or as much as 200 milligrams of caffeine. 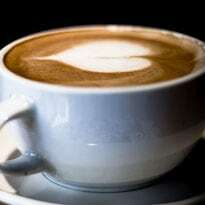 In fact, caffeine itself is a mild painkiller and increases the effectiveness of other pain relievers. However, there have been some common myths about the consumption of caffeine. 1. Caffeine's effects are addictive - People often say they are addicted to caffeine in much the same way they say they are addicted to shopping, working or television. The term "addiction" actually refers to a strong dependence on a drug characterized by severe withdrawal symptoms, tolerance to a given dose and the loss of control or the need to consume more and more of the substance at any cost. Consumers of caffeine-containing beverages do not fall into this category. The Diagnostic and Statistical Manual for Mental Disorders (1994), a document that characterizes various addictions, does not list caffeine as a substance that causes addiction. According to the World Health Organization, "There is no evidence whatsoever that caffeine use has even remotely comparable physical and social consequences which are associated with serious drugs of abuse." 2. Pregnant women should avoid caffeine - Just as with nearly everything else they do, pregnant women can take caffeine in moderation. Many women find they experience taste changes during pregnancy and cannot drink tea or coffee. For those who continue to enjoy their tea and coffee, most physicians and researchers agree that moderate amounts of coffee daily will have no adverse effects on the outcome of the pregnancy or the infant's health. 3. Caffeine is a risk factor for osteoporosis - The established risk factors for osteoporosis are insufficient dietary calcium and vitamin D, high protein diets, smoking, the onset of menopause, low estrogen levels, low body weight and a lack of physical activity. Several well-controlled studies have concluded that consuming moderate amounts of caffeine does not increase the risk of developing osteoporosis. A 1994 National Institute of Health Consensus Statement on optimal bone health does not list caffeine amongst the risk factors which modify calcium balance and influence bone mass. A study by Penn State Medical School found that lifetime consumption of caffeine (up to 800 mg daily or the equivalent of 6-7 cups of coffee a day) had no effect on bone density in 188 post-menopausal women. Nevertheless, caffeine does cause a small amount of calcium to be lost in the urine about the amount in one to two tablespoons of milk per cup of tea or coffee. For this reason, nutritionists recommend that women take their coffee with added milk, drink one extra glass of milk daily or take a calcium supplement if they are heavy coffee drinkers (over 5 cups of coffee daily). 4. Caffeine increases the risk of heart disease - Despite previous controversy on the subject, scientists now agree that regular caffeine use has little or no effect on blood pressure, cholesterol levels or risk of heart disease. Studies show that while first-time caffeine use can cause a slight increase in blood pressure (similar to that experienced when walking up stairs), the changes are minimal and disappear with regular use. Comments5. Caffeine adversely affects the health of children - Children generally consume much less caffeine than adults do, since soft drinks and tea are their primary sources of caffeine. Children generally have the same ability to process caffeine as adults. Studies have shown that foods and drinks containing caffeine, when taken in moderate amounts, have no detectable effects on activity levels or attention spans in children.